No doubt if you have been keeping up with Hello! Project for the past week, you must already know the biggest latest announcement. 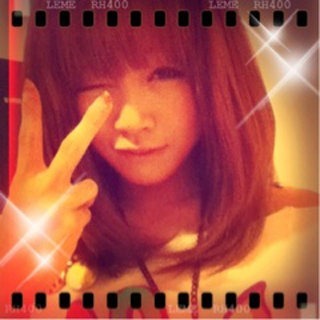 For those who don’t know, Niigaki Risa announced that she will be graduating from Morning Musume and Hello! Project at the end of Morning Musume’s spring concert tour. 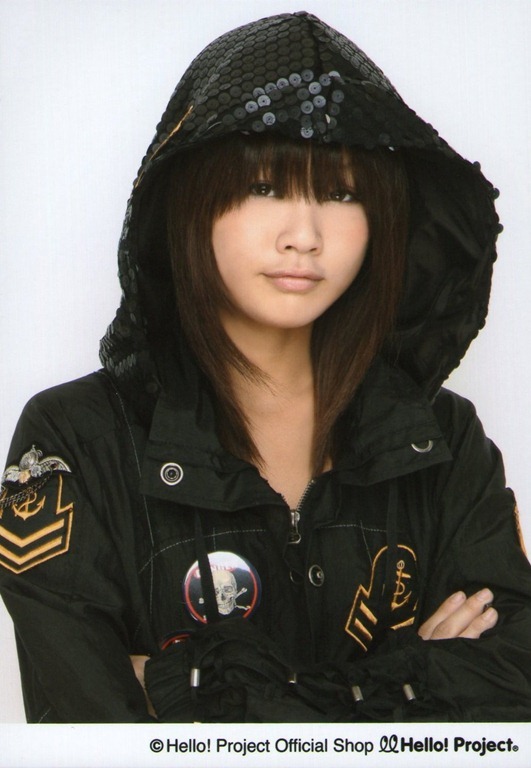 Gaki-san is my favorite member of Morning Musume, of Hello! Project. After laying my Kago fandom to rest, Gaki-san is overwhelmingly the heart of my idol fandom. Needless to say, I didn’t know what to think when I read the news on Twitter. How does one react to news like that? To know that someone who you look forward to seeing and hearing will no longer be there is sad. I wasn’t looking forward to the fact that after years of dodging bullets, the graduation has finally come. What’s more, apparently it was supposed to happen even earlier. Admittedly, I felt perhaps Gaki-san was meant to graduate with Takahashi. Perhaps that was part of the reason why Gaki-san was hesitant to write about how she felt about the graduation when Takahashi announced hers. We could speculate forever if Gaki-san was held back by her own will or if they urged her to hold back so that she could meet and train the 10th generation. But I’m not here to speculate, such things are not for me to question. For whatever reason, Gaki-san didn’t graduate in late September with Takahashi. She’s now set to graduate some time in May. Soon after the announcement I was talking to a friend of mine and with my eyes closed, I had a sudden epiphany. For whatever reason, Gaki-san didn’t graduate in late September with Takahashi. She’s now set to graduate some time in May. I went online and looked up my school calendar and looked up the current schedule of Morning Musume’s spring tour. It occurred to me, somehow… somehow, it could be possible. Somehow, I might be able to see her before she graduated. If indeed Gaki-san is set to graduate on the last concert of the spring tour on May 13th. That places her concert right after I finish school. As it stands it is mere days before my own graduation from school. Do I expect her to graduate on that day? No, however no additional information has been announced that deters me from the current target date. I have looked forward to seeing Morning Musume live for the longest time. The first night, I frantically started thinking a lot. Is it really possible? Can I go? How much money would I need? What would I need? Where would I stay? And yet as I was questioning myself at every turn, I realized something. I realized, I wasn’t saying no. I realized, I wasn’t telling myself I couldn’t do it. This time it was different, I was telling myself what do I need to do? What kind of problems would I run into? At some point, I realized … I was thinking about going to a foreign country, alone, for the first time all for one girl. One girl, who I wouldn’t even talk to, possibly not even make full eye contact with. One girl, who at the end of the day would not know who I was. I was thinking about making one of the biggest decisions in my life all for Gaki-san. And I thought for a moment … is this love? Now, of course not love, by the standard metric that is a relationship with a companion. But something different all together. The only way I can explain what I felt that night was, “is this love?”. If you are ever in the same situation that I described, think about it and let me know. Long story short (which I never do on this blog), I entertained the idea of going to Japan to see Gaki-san one last time before she would graduate. When Morning Musume came to Anime Expo, they were on the opposite side of the country of me. I resolved I couldn’t go on day one. Did I regret it? Yes. But as you read, that night I had a very different reaction. I didn’t say it was impossible. I was convincing myself that if Gaki-san meant that much to me, it could be possible. Well, what if it weren’t possible? I would never know unless I tried, wouldn’t I? What if I tried and couldn’t make it? Well, at least I knew I tried. What if I could have tried harder, wouldn’t I regret that I was so close? That was where I came up with my resolve. I didn’t want to be me years ago who didn’t even try to make Anime Expo happen. I didn’t want to give up before I even tried. Sometimes life changes in the oddest ways. Some people find their calling in the most unforeseen hobbies. Other people find the love of their life in some freak accident. Morning Musume has a lot of meaning to me. I believe that this graduation is not meant to be a concert that will merely be recorded on DVD for fans to reminisce and future fans to see. 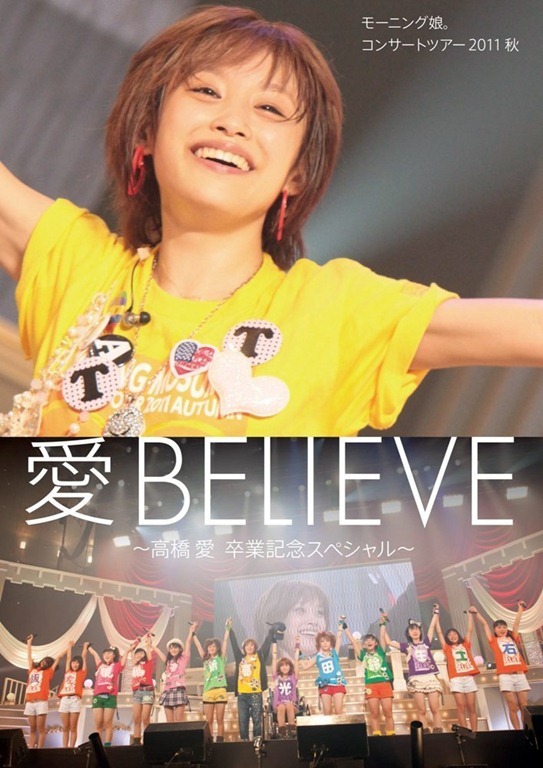 If anything, Takahashi graduating first taught me one important thing and that’s the meaning of, AI Believe. I believe that if this means as much to me as I believe it does, I will make it happen. I believe that I won’t let anything stop me from getting on a plane to Japan and getting into that concert hall. I believe that this graduation means so much more than just a step in my fandom. I believe I will make it to Japan to see Gaki-san graduate from the group that I have come to and will continue to hold dear to my heart. If you’re reading this, you probably have already heard the news. Ogawa Saki will be graduating from Hello! Project. That’s right, former Hello! Project Egg, S/mileage member, Oha-Star girl is all of a sudden going to graduate. Her last event will be on the 27th. This news comes hot on the trail of S/mileage’s auditions resulting in 5 new sub-members. But that news is for another day. I’ll admit that I have little interest in S/mileage. In my Hello! Project hierarchy Manoeri is at the very end followed closely by Berryz Koubou. S/mileage is a bit above Berryz as I do like some of S/mileage’s songs. But I have very little vested interest in S/mileage. An exchange of tweets yesterday in regards to Ogawa Saki’s graduation led to my burning desire to write this blog post. The opinions I express here need not be the same way you should feel as many people may have a different outlook to it. But it is something that I wanted to get off of my chest. Long time no see everyone! I’ve been all kinds of busy in the past two months setting up the next stage for my life. But alas, here I am once again showing a commitment to my blog. There happens to be a lot of happenings since the last time I updated. So let’s rewind a little bit. Those girls are at it again. Congratulations to all the records that you’ve all shattered. My interest in AKB remains mostly as it was for the past years. So I don’t have much more to say about them. I heard and saw the original Beginner PV recently and immediately felt as if I had heard it already. Though I think I did hear Beginner before, the sound is distinctly AKB so perhaps I am expecting too many different things from them. What’s more, I’ve seen/will be seeing more of them in dramas so who knows maybe I’ll have more to write about AKB some time soon. That they will be having a new audition was admittedly unexpected. I have treaded lightly for some time now but this change of members will be a very exciting move. Every group beyond Morning Musume (even Mano Erina to some extent) has propagated small waves in the entertainment world for Hello! Project. I really look forward to see what the auditions will bring in. The way Tsunku-san described the member additions it seems akin to the original Berryz Koubou dynamic. Considering their challenge to SNSD, more members surely would make that viable. I actually quite like Only you and the B-side as well. It looks like September can’t come any sooner and I know I’m going to feel pretty sad to see a whole dynasty go away when Takahashi graduates. More on that if school doesn’t swallow me whole. Maybe I’ll just preempt it and write my graduation post a whole month ahead and time release it. Now on to more pressing matters! Long time no see all, no surprise school has been keeping me more than busy. And with the way I blog, that would take way too much time out of my routine schedule, so no insightful posts. Tonight is an exception, assuming that I can finish the draft before I get sleepy or have to do something. While sitting on the bus traveling back to the shore, I was being contemplative. Have no idea why, but it tends to happen when I look outside windows in the dark while moving. Auto vehicles do that. So what pray tell have I been contemplating about? I’ve been thinking about the word “がんばる”. For non-Japanese readers that word is “ganbaru”.